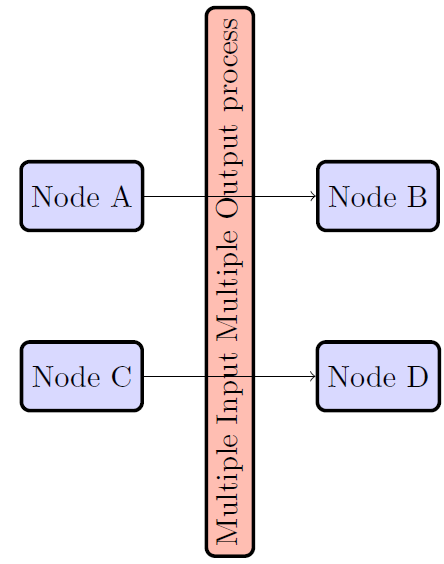 What I'd like to know is how to draw the arrows so that the 'Multiple Input Multiple Output process' bisects the line so that it is split into two parts, so there one arrow going into the process on the left (from node A for example) and one going out on the right (for example to node B). 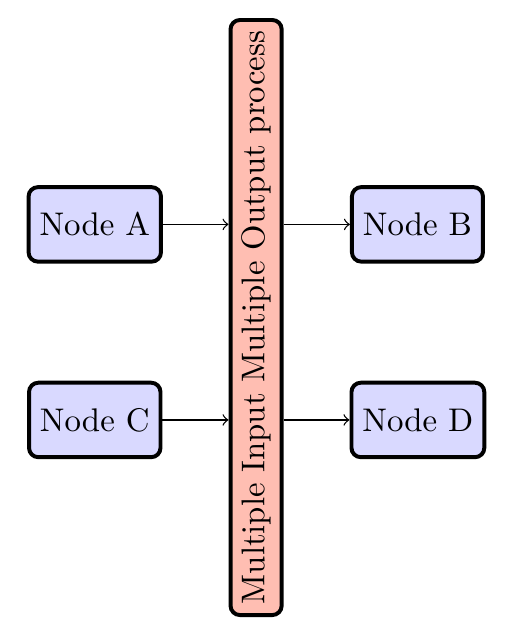 However is it possible to force the entry and exit points of the arrows of the 'process' node to be 'level' with a pair of nodes (A and B, or C and D). (Effectively in the diagram below it's as if the process node bisects the arrows, splitting them into two, as mentioned previously). How to draw 4*4 request response nodes and a centralized structure with curve arrows in tikz?